Found your toilets clogged? Don't know what to do? Why Your Toilet is Clogged? A toilet can be clogged right away if you drop something into it or a toilet will begin to show signs that it is clogged, signs such as the water goes down slower than normal, the water stands around for quite some time, etc. The best time to call us is when you begin to notice these symptoms as opposed to when you find your bathroom knee-deep in dirty water. Unclogging a clogged toilet requires more than just a few hard pushes with a large plunger, it requires knowledge of the drainage system in your toilet and how it works when you pull the flush or open the water. People who do not have plumbing experience can end up making matters worse since the wrong techniques can potentially damage their toilet's sewer line which can end up costing you both in the way of getting the line repaired as well as property damage. 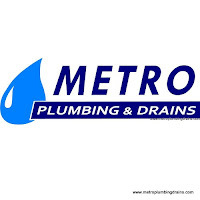 When you are faced with a clogged toilet, you should call Metro Plumbing & Drains. We have many years of experience fixing cogged toilets. Our expert plumbers will not only remove the clog in a non-invasive manner but will also find and eliminate the root cause of the clog from your toilet so that you never have to deal with the same problem again. We do provide all our clients with a FREE ESTIMATE if needed prior to starting work, especially if it needs to replace or change pipes or other items. As professionals we give our clients the full picture of the problem so that they can choose what works best for them. We always look for our customers best interests and we try our best to accommodate you with the most suitable and 100% professional solution.